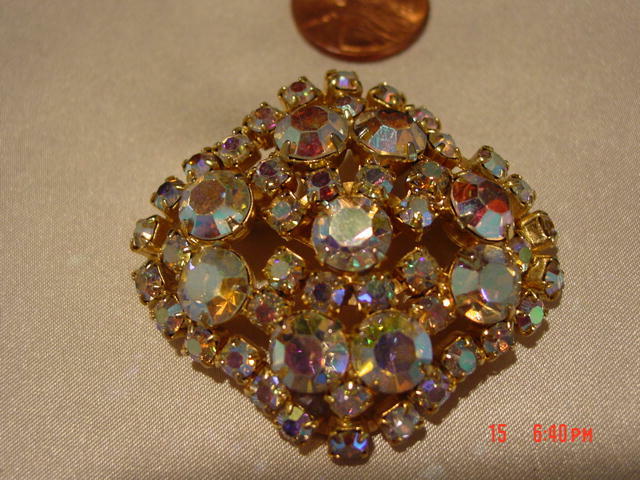 This brooch is set on a goldtone background, with 9 large round faceted prong set aurora borealis rhinestones surrounded by 42 small square ones. It is in excellent condition! Items Similar To "Large Unsigned Aurora Borealis Brooch"